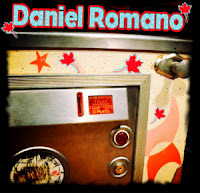 Snob's Music: Daniel Romano "Pinball Sessions"
Daniel Romano has recorded four new tracks for Pinball Sessions, a relaxed 'live-off-the-floor' project out of Guelph. Download or stream it here. Others in the series include John K. Samson, The Magic, and more.